Flock was established in 2013, driven by the desire to discover and nurture the best of new British design. 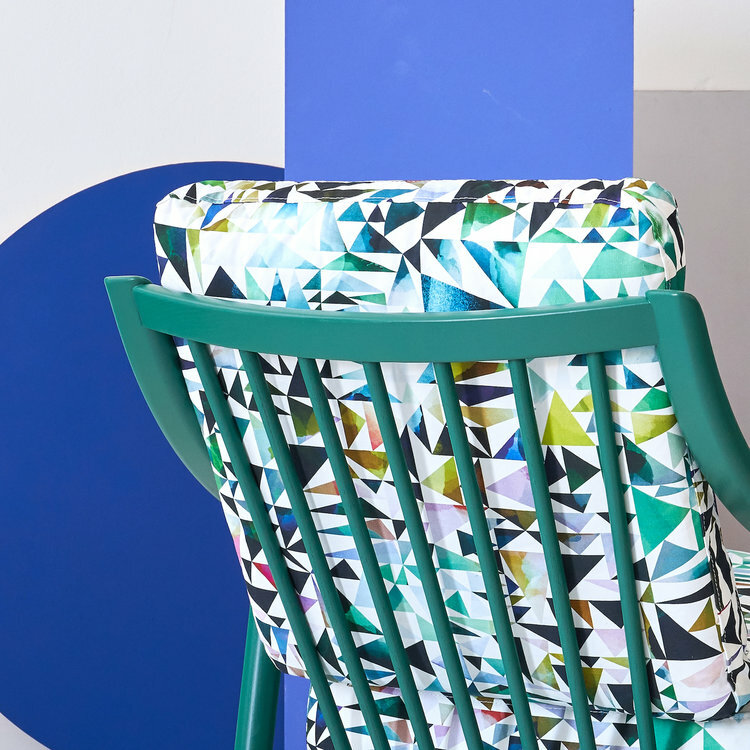 Led by creative director Jenny Wingfield, Flock works with an eclectic mix of artists, designers and recent graduates to create a bold and beautiful collection of textiles for interiors. The Flock collection of fine quality linen fabrics are printed digitally in Lancashire and stocked around the world. I thank my lucky stars that I met Jenny while exhibiting at New Designers back in 2012 and things spiralled from there - I’m proud to be part of such a colourful and creative collective! In recent years Flock has had the joy of collaborating with some amazing people! Recent projects include working with Métier Concept to create printed plywood furniture, vintage cocktail chairs with Florrie+Bill and creating a capsule collection with Sofa Workshop. Our biggest challenge to date was a collaboration with rug specialists FLOOR_STORY, which involved painstakingly editing my wildly colourful Northmore design down to just 26 colours (still a whopping number of colours for a hand knotted rug!) Each colour was then carefully matched under Floor Story Simon's expert supervision. The result is a 100-knot Tibetan weave featuring pure Chinese silk, handmade by some of India's finest artisan makers - a real work of art. Each new collaboration sparks so much creativity and I can't wait to see what's around the corner for Studio Flock.